Here is a cheerful and sparkling cuddly toy that will put a smile on children's faces! 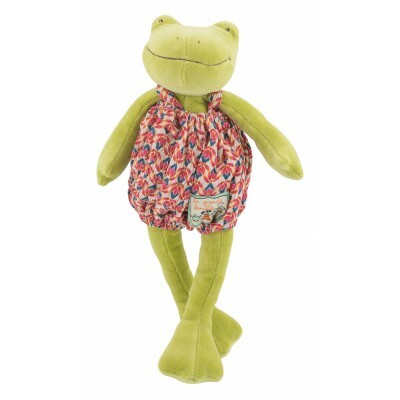 Dressed in a colourful blouse, Perlette the frog will entertain your little one. Dimension: 30cm. In cotton and polyester. Delicate wash at 30 degrees, no tumble dry. From birth.